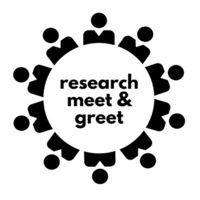 Please join us for the inaugural event of the Research Meet & Greet series on October 8, 3:30-5:30pm at the John T. Richardson Library, Idea Lab 2, Room 207. Research Meet & Greet series is conceived as an opportunity for DePaul University faculty and staff to share and learn about research and creative projects going on across the University. Each event will feature an invited presentation followed by less formal, open mic style lightning talks by DePaul faculty and staff and a reception. To sign up for the lightning talk (~5 min) and share the word about your research or creative project with DePaul faculty and staff on October 8, please use the form provided here. “Tweeting the Loudest: How ego-involvement influences content creation, sharing, and information polarization online"